Downloading and getting the software ready. We need the TP Link MR3040 original firmware from TP-Link. We also need an app called dd.exe which we use to resize the TP Link firmware file, otherwise it wont work. 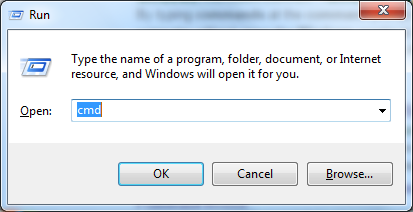 During the process we are using the cmd command line interface to run commands, so we rename the files and put the folder somewhere easy to get to so our commands are easier to type = less likelihood of errors. We use Putty to connect with the MR3040 – you most likely have used this before to connect to the router. Resizing the TP Link firmware file. We need to resize the firmware file so that the router accepts the new firmware. 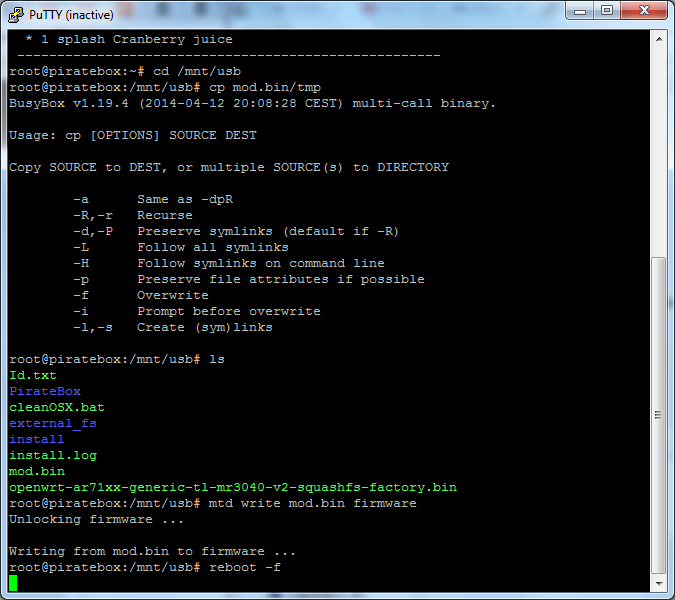 using the command line we make our 3040 folder the working directory so our commands make sense. We run a command which uses the dd.exe program to resize the ori.bin file and creates a new one called mod.bin which we use on the MR3040 to restore the TP Link firmware. This is the Firmware rewriting stage. We copy the resized TP Link Firmware file (mod.bin) to the USB then use Putty to copy it to the MR3040 and change the firmware from Openwrt to the TP Link firmware version we downloaded. This is the final stage. We connect to the MR3040 using ethernet and access the TP Link setup page. So there’s a lot of steps below, but Ive tried to make it as easy as possible to follow for English and non-English first speakers. Essentially we are downloading software – resizing – copying to MR3040 – running the firmware change. 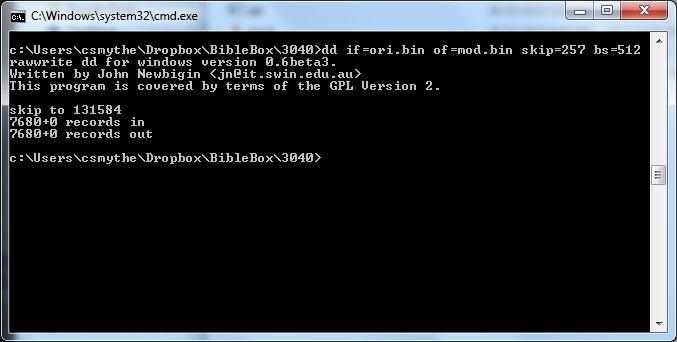 So now, just make sure dd.exe and the ori.bin file are in the 3040 folder.